6 Pack - Size 6 rubber stoppers. 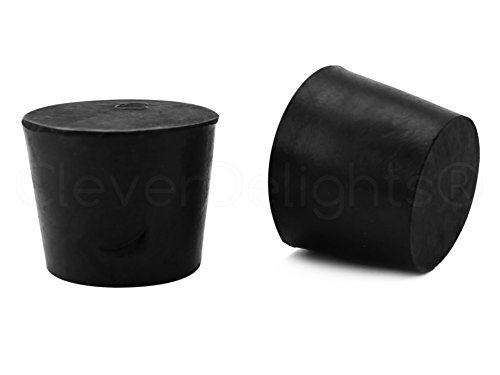 These premium CleverDelights stoppers are ideal for plugging test tubes, laboratory vials and containers. Made from natural rubber and ships from a USA warehouse. Great for lab, household, and industrial use. Black color. Dimensions: 33mm x 25mm x 28mm tall (Approx. 1 5/16" x 1" x 1 1/8"). Other sizes ranging from #000 to #14 also available on Amazon. See the 2nd picture for a table of all the sizes we carry.